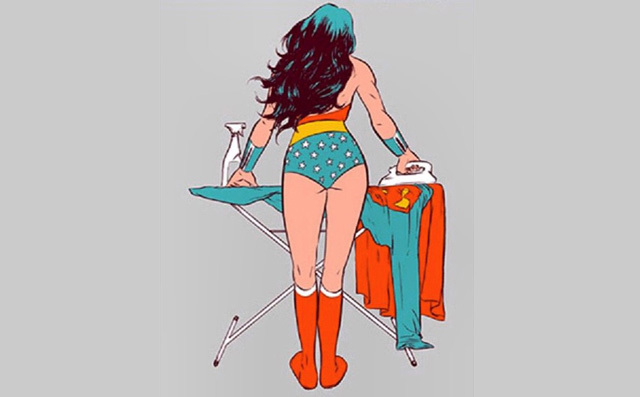 Superheroines And Superheroes: Washing Up Verses DIY | Warped Factor - Words in the Key of Geek. Washing up - small annoying everyday chore that goes unnoticed until it's not done. DIY - large one-off task that is very noticeable during and after. I've set out those definitions for later, put them to the back of your mind for now. Recently Warped Factor has published a number of articles by Tyrell, in particular, “Bring on the Girls” and “Looking Ahead to SUPERGIRL”. The eagle-eyed, or probably even the casual observers, among you may well have noted that Tyrell is my daughter. But I’m not about to do the proud Mum thing (though I could), what I actually have to say is that her articles got me thinking. They got me thinking about the superhero films I grew up with, and how different they were from the superhero representations Tyrell is growing up with. Since reading these articles, the question I've been asking is, did the movie makers of my formative years let down not only my generation, but my daughter's too? In answer, we have to look at a bit of film history. Every decade has had its superheroes films, starting with the Adventures of Captain Marvel in 1941. Oddly enough the first female lead superhero movie seems to be “The Wild World of Batwoman”, but as far as I can tell, this isn’t really a super-character at all. But let’s get to the 'my formative years' era. We had the greatest Superman of all time - Christopher Reeve. Say what you like but Superman Returns and Brandon Routh really weren't a patch on 1978. The first three Superman films all made money (though with three I rather wonder how, this is another one for the discerning viewer to miss), and at the time it was a reasonable extrapolation that extending the idea to Supergirl would work. Only it didn’t. Supergirl (1984) is the first real superheroine movie, but it lurks in my memory filed under, “Please let me forget, pretty please let me forget I ever saw this”. The thing about this movie is that it wasn’t short on what should have been positives. There are big names included (though age dependant, like Tyrell, you may never have heard of them), like Faye Dunaway as Selena (the supervillainous witch), Peter O’Toole as Zaltar (Supergirl’s mentor) and Peter Cook as Nigel (Selena’s sycophantic admirer). These are (or were) very capable actors, who bring presence to the screen. Then there was Supergirl herself, Helen Slater, who was, and still is, a very beautiful woman; incidentally, she’s in the pilot of the new series as Sylvia Danvers, so judging by the name alone, she’s now Supergirl’s Mom. But not one of these fine actors pulls off a decent performance in this movie. I’ve seen every single one do so much better. 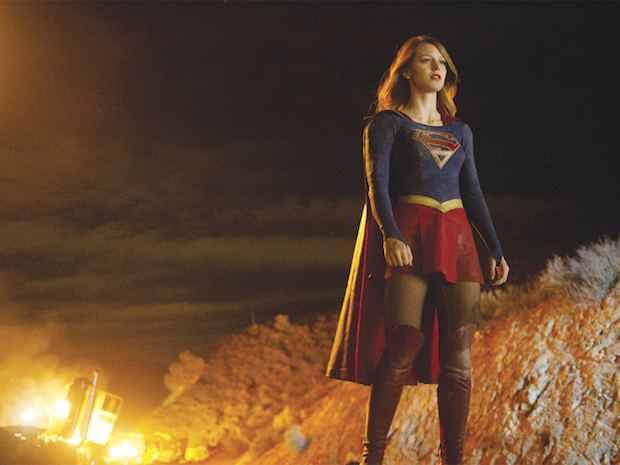 Supergirl the movie had stars and it had money - so what went wrong? As far as I’m concerned - pretty much everything. In an attempt to be balanced, there are some 5-star reviews on IMDB, and I’d like to be kind, but frankly, I can’t agree with any of them. I think the movie started badly and went downhill. There’s the not-quite-ethereal-enough artiness of the opening scenes; the not-entirely-comfortable-to-watch-because-they-look-forced kisses; there’s the overblown 80s excess of magic; and Peter Cook just is neither comic nor genius in this either. Then there are the little things - like Supergirl arriving on earth through a lake and landing bone dry, which kind of defies believability somewhat. And there’s the sometimes obvious strings during the flight sequences, but it was the 80s, so maybe we have to forgive the special effects team for that. The climax of the movie is less than climatic, it’s full of the unbelievable, like unbelievably poor effects, and being the 80s won’t save them from that. Even more annoyingly is the fact that, arguably, Supergirl isn’t the real hero. She’s about to give up, busy booing “I can’t,” when Peter O’Tooles’ voice pipes up from nowhere to say “You can.” At the same time Ethan (he of the awkward kisses) closes the magic box which helps support Selena’s magic, and Peter Cook tells Supergirl what she needs to do. The twister Supergirl creates to trap Selena and feed her to her own monster doesn’t exactly stand up to scrutiny either. Much like Christopher Reeve spinning the Earth backwards to rewind time (that’s like fingernails on a chalk board of my physics knowledge), this one you kind of have to grit your teeth and put up with. Supergirl creates the twister by flying superfast around Selena, but she appears to miniaturise herself to do so, proportions are all over the place. For me, Supergirl doesn’t work on any level. This is a film so bad, even YouTube doesn’t hold the full thing (unless you’re prepared to pay for it, and I strongly suggest you waste neither your time nor your money). Perhaps Salkind/Warner Bros should have saved their money too, they spent $35 million on it, but only grossed $14.3 million, which represents a super-loss by any reckoning. All of which means I totally get Tyrell’s rant about there aren't many superheroines on film. Anyway, it’s not just the Supergirl film that I dislike, it’s what it represents. 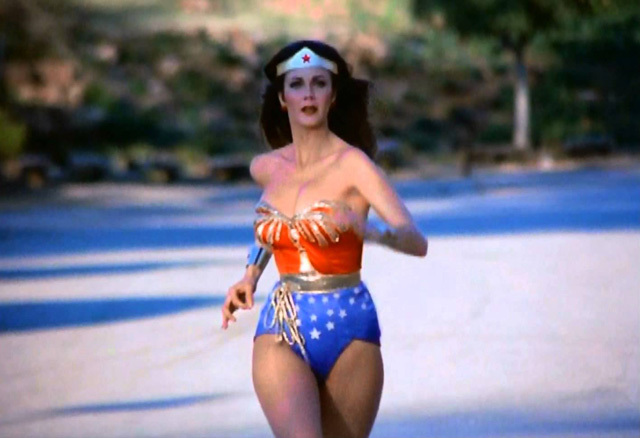 What worked well with the Wonder Woman series, was that the writers words and Linda Carter’s portrayal, showed an actually rather human, well-rounded character, a character I tried to emulate and nearly broke my ankle with by jumping from too high a wall! 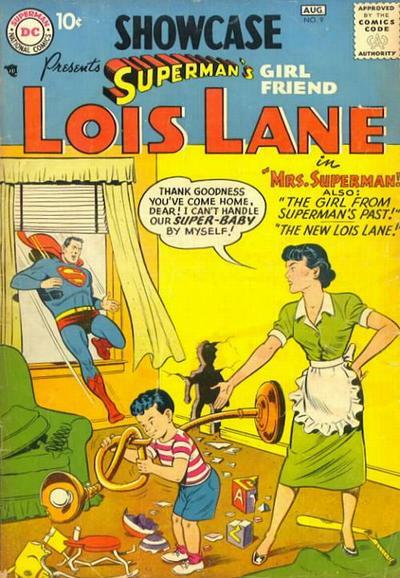 Supergirl comes over as a caricature of the worse kind. And in its wake there wasn’t another superheroine movie until Tank Girl in 1995, which is questionable if it even counts since she’s not technically a super. What Supergirl the movie left behind was a sour taste that female superheroes just can’t carry the show, but is there any reason why not? Well, maybe, yes. Now comes the bit my daughter and every other feminist will slap me for. Washing up verses the DIY. I grew up when equality and post-feminism were still telling little girls that they could have it all, well I’ll tell you something - they lied, no one can have it all. Not even a superhero. Including Tony Stark. Men and women are not the same, we are not equal, and I'm not sure why some women would demean our kind by saying so. Women live longer than men. Have a look at your superheroes and you’ll actually notice that none of them do have it all. They all have support. Iron Man has Pepper Pots, Superman has Lois, the Avengers have each other and the Agents of Shield, Batman has not only Robin, but Alfred too, the X-Men (and women) had a whole school of talent to lean on. Who do the superwomen have? Who was Wonder Woman’s other half? Who stayed back and took care of the home front? Where are the house-husbands hiding? I don’t know but they are hiding real well. Men don’t like to be protected by women (big generalisation admittedly, but like stereotyping generalisations come about for a reason). What that means is the superheroines generally have to be alone to avoid looking needy, girly or slutty, which is why we’ve ended up with superheroines acting all macho. It’s not fair, but life isn’t. There’s another comparison that’s worth thinking about. I have the vote, and when she’s old enough, Tyrell will have it too. A lot of people will say that the Suffragettes gave us that, but I’m not convinced. Emily Davidson martyred herself (possibly by accident) very publically in 1913, but there’s a lot to be said for the power of the women who quietly got on with the war effort from 1914 to 1918, it was the appreciation of the mature political response when the country was at war that swung the actual votes for women. In other words, the real heroes aren’t always the obvious heroes. Do I think that the movie makers did my generation a disservice with Supergirl the movie? Yes. It was so poorly done, and it lost so much money that female supers have been rarely put on the big screen since. Am I saying female supers don’t work? No, I am not. But until people recognise that men and women aren’t the same, we are wonderfully different and diversely capable, powerful women will always be made out to be too masculine. Linda Carter as Wonder Woman was great, if of the time, and now the trailer for the new Supergirl series suggests that this is going to be another gem. But the Supergirl movie was a bomb and there hasn’t been a Wonder Woman one yet. Could that be because women do the washing up and men do the DIY? Women do the small things really well, the caring sharing detail stuff. Small things that add up to something big, like a television show, each one may only be 45 to 60 minutes, but there are lots of episodes - ever tried watching all 60 episodes of Wonder Woman in one go? Men do the big explosive stuff, big single hits. Stuff that works well for a two-hour film, but would get real boring real quick if you had to watch 20 such movies about the same guy. How many times can you bear to hear “Don’t touch my hammer” without wanting to take a hammer to the man’s head? So I’m happy that we’re getting a Supergirl series rather than a film, this way we get more time with her. And just in case you were wondering, who does the washing up in our house? Tyrell mostly, then my hubby, and me occasionally. Who does the DIY? Well, to be honest, mostly my hubby, but I do do a fair bit more than most women - I even had to remove the u-bend on the kitchen sink to unblock it a couple of weekends ago. The compression joint gave me some trouble, but I got there.